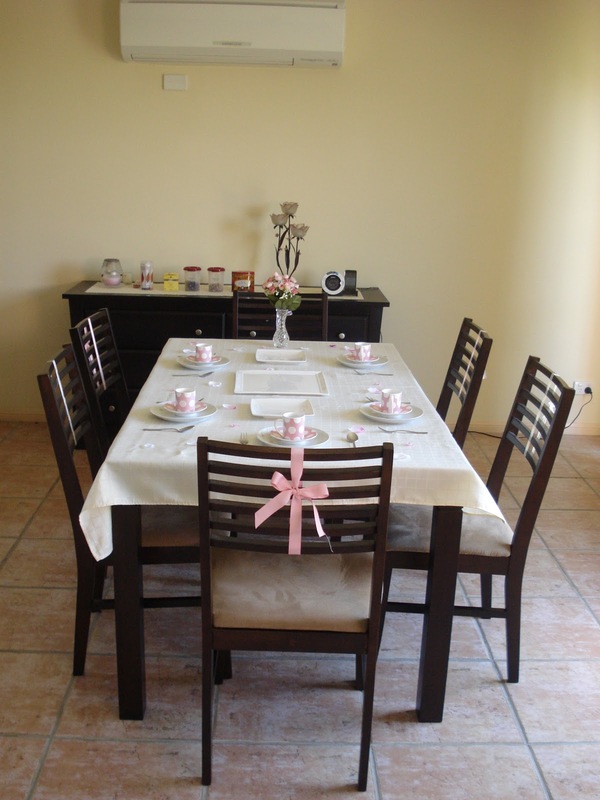 I had some girlfriends over for afternoon tea and decided to decorate the house in pink. 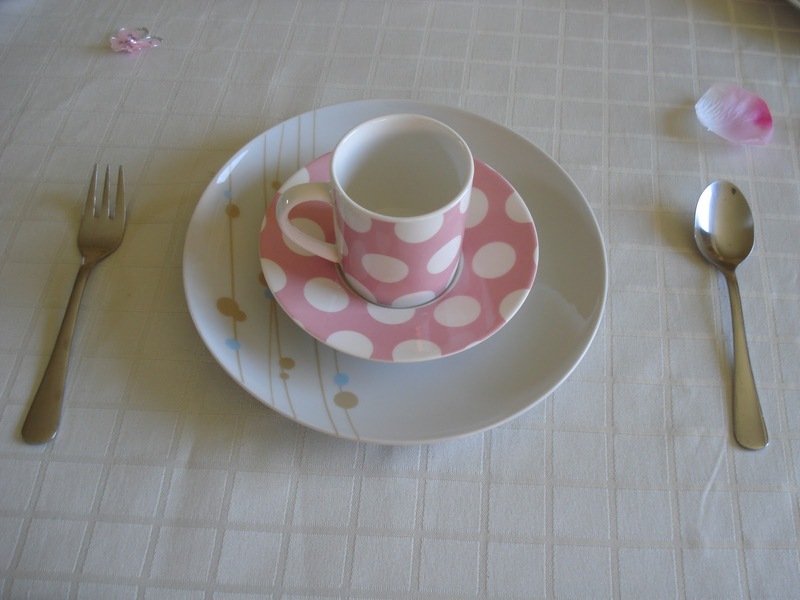 After a few minutes of browsing in the cupboard, I managed to pull out a bunch of pink teacups and decorations. 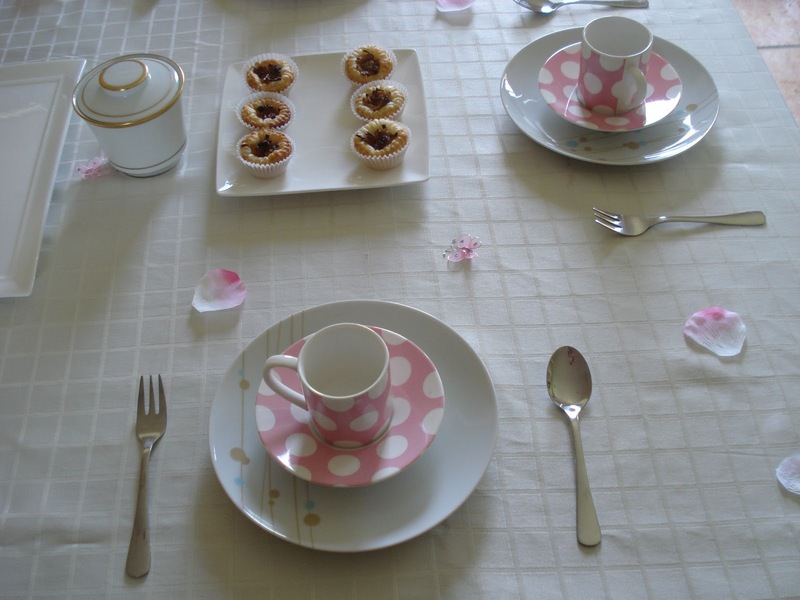 a) Pink tea cups & saucer were used in the Chinese tea ceremony. I decided to go non-conventional with pink instead of the traditional red or gold. We are a multi-cultural couple, so it’s a perfect reason to get away with tradition. b) Pink petals were originally bought for the table decoration at our reception, but we ended up using fresh petals instead. c) Pink butterflies were originally bought for the wedding invitation in Malaysia. However, we were told by a Malaysian florist that butterfly represents the story of the “Butterfly lovers”. It is the Chinese version of “Romeo & Juliet”, thus not appropriate for weddings. How silly is that! In really upsets me that people make up foolish traditions from movies. Anyway, we ended up using pink ribbons instead because it is less pointy and easier to insert into the envelope (and of course more economical). At least is for a practical reason rather than a nonsense tradition. d) Pink ribbons were reused from the presents I received in the past. e) Pink bouquet of fake roses was bought from Lovely Lace in Malaysia. This was meant to be our throwaway bouquet, but I liked it so much that I decided to keep it. Thankfully, our florist gave us a free throwaway bouquet. So, problems solved. 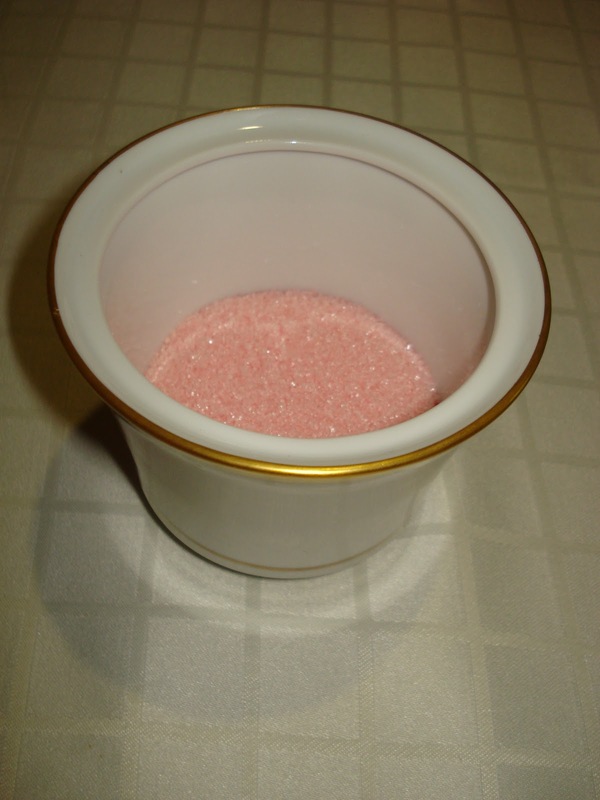 I even made my very own pink sugar. It was a trick shared by the lady from Teas & Niceties up in Mount Tamborine.